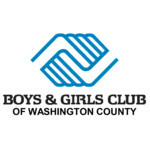 At Boys and Girls Club of Washington County, it is our mission to enable all young people, especially those who need us most, to reach their full potential as productive, caring, and responsible citizens. Boys & Girls Club participants receive homework assistance, life-skill instruction, nutrition and health information, access to technology, and are engaged in character building exercises. Youth are given the opportunity to grow as individuals in a safe, nurturing environment supervised by dedicated professionals.